Advanced Simulation | Socionext Inc.
Utilizing advanced simulation technologies, we offer the best package solution. Incorporating mechanism simulation into package design allows customers to propose high reliability packages. 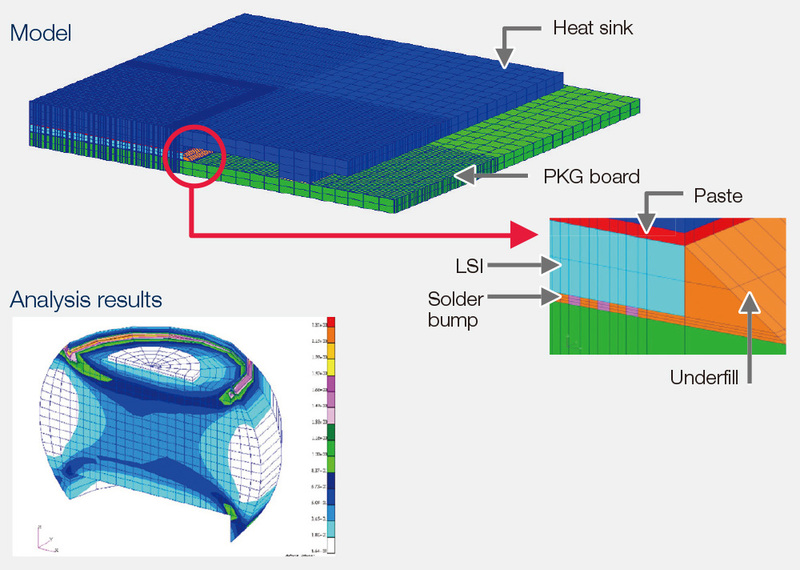 By combining actual measurement of thermal resistors and thermofluid simulation, we perform high accuracy thermal resistance analysis reproducing the operating environment of products. 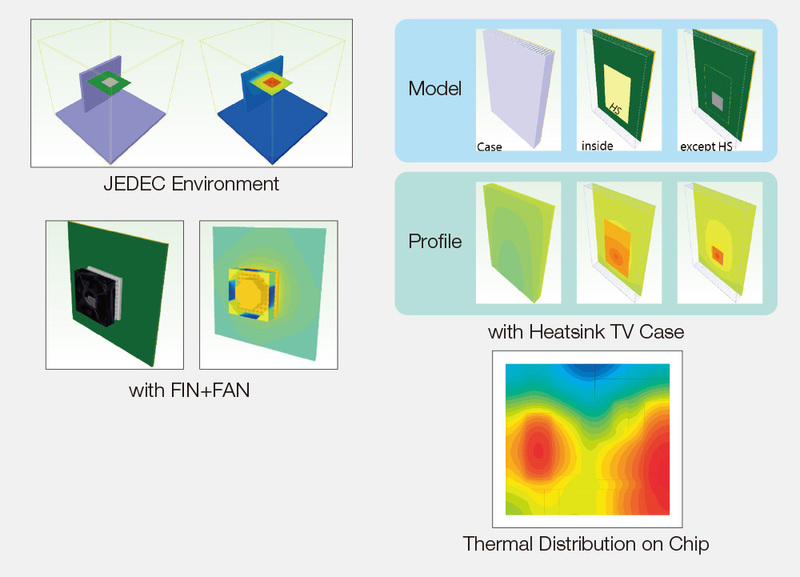 Analysis in an environment defined by the JEDEC standard is also possible. Measurement of transient thermal resistance values in accordance with the JEDEC standard JESD51-14 is possible.